The towns of Abaltzisketa and Ataun provide the two gateways into the park. 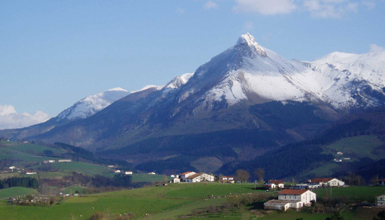 The park is located in one of the Basque Country’s most important mountainous regions. Its considerable size, the height of the mountains and the varied and traditional use of the land makes it one of the most popular parks in the region. With the emblematic Mount Txindoki (Larrunarri) standing tall in the background and the Goierri and Tolosaldea localities down below, the scenery is quite breath-taking. Tourists can choose from a wide range of activities: they can visit a traditional Basque farmhouse, sample some Idiazabal cheese, learn to pour cider in a family-run ciderhouse, go mountain-biking, horse-riding or visit megalithic monuments (there are some thirty dolmens, burial mounds, monoliths, cave and outdoor sites, and two cromlechs). The Barandiarán museum and interpretation centre in Ataun offers visitors extensive information on every aspect of the park. Both GR and shorter walking routes are blazed with trailside markers and there are also footpaths which lead to the recreation areas with playgrounds. 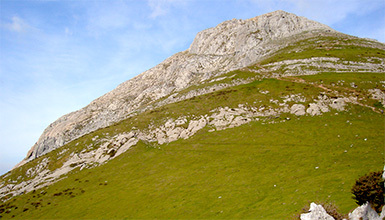 Visitors will find another information centre, hostel and restaurant at the Lizarrusti mountain pass.